Over the past 24 hours, we observed over 40 attacks by Russian-terrorist forces on Ukrainian positions in the ATO zone, including attacks with the use of heavy armaments (caliber over 100 mm). In addition to the “traditional” Donetsk and Mariupol springboards, the terrorists are active in the Artemivsk and Luhansk sectors. Armed gangs delivered fire strikes on Pisky, Doslidne, Avdiivka, Shyrokyne, Hranitne, Luhanske, Svitlodarsk, Mayorske, Kurdyumivka, Zolote, Rosadki, Lozove, Sokolniki, Trokhizbenka, Stanytsia Luhanska, and Krymske. 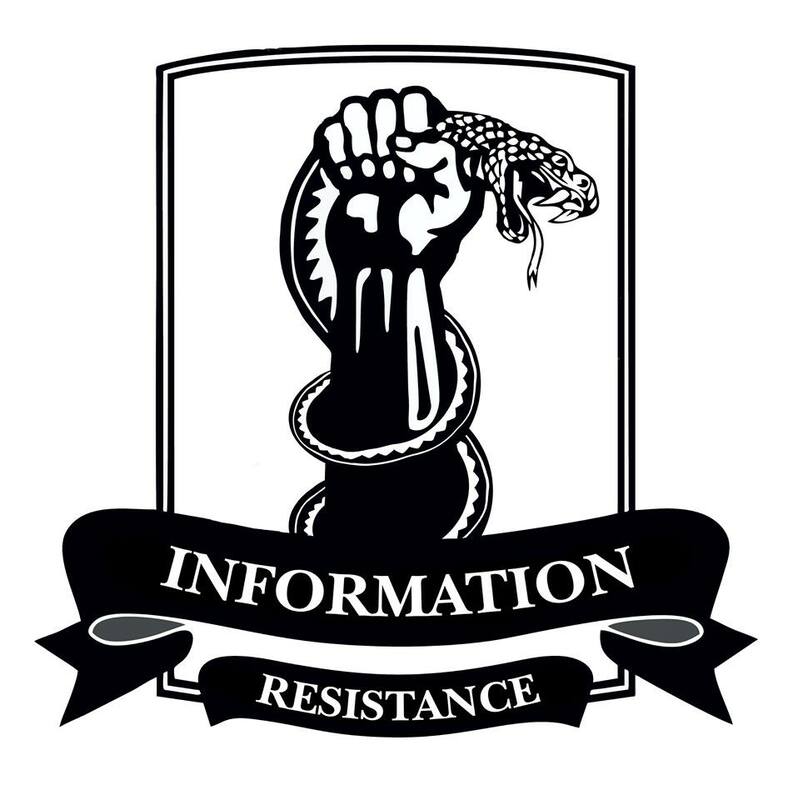 In the Luhansk sector, Russian insurgents used heavy-caliber machine guns, 120-mm mortars, and AGS-17 Plamya automatic grenade launchers, while sabotage and reconnaissance groups attempted to penetrate the tactical rear of the Ukrainian forces. During shelling of the Ukrainian positions near Shyrokyne, the terrorists used 122-mm artillery and 120-mm mortars. Near Pisky and Opytne, armored vehicles (BMP-2 infantry combat vehicles, and BTR-80 armored personnel carriers) were used as part of several firing groups which have advanced towards the front line. • Over the last 24 hours, 38 Russian-terrorist transport vehicles were on the move – mainly in the vicinity of Luhansk, between Alchevsk, Stakhanov, and Pervomaisk, as well as between Makiivka, Horlivka, and Yenakijeve. Convoys were also actively moving through Donetsk, and in the Telmanove – Novoazovsk sector. • The Bezimenne–Novoazovsk terrorist group is being supplied with fuel, ammunition, and personnel, mainly transferred from Russia through Maksymove. • Materials and supplies for the Seaside (Novoazovsk) group of Russian-terrorist troops are being delivered by motor vehicles, through Telmanove and directly from Russia (we observed convoys of 8 and 18 transport and armored vehicles, respectively). • Two terrorist units, with total strength of up to two reinforced companies, equipped with 14-15 armored vehicles and 20 transport vehicles, was spotted moving through Makiivka in the direction of Donetsk and Yasynuvata. • The terrorist group in the vicinity of Pervomaisk – Stakhanov – Bryanka is being reinforced. The insurgents are equipping additional positions for armored vehicles to the northeast of Bryanka, and improving positions in the area of the Bakhmut motorway (by constructing platoon strongpoints). • An insurgent mortar unit (accompanied by 4 armored vehicles and 3 trucks) was deployed in the direction of Telmanove, to reinforce terrorist units stationed near Hranitne. • The terrorist group near Horlivka, in the Artemivsk sector, is being reinforced. Reinforcements continue arriving in the northern and northwestern parts of the “Horlivka garrison.” In addition to the armored vehicles transferred to this area previously, an additional 6 tanks, 3 Strela-10M missile systems, and 8 armored combat vehicles were transferred here over the last 48 hours, moving through Yenakijeve. • A similar situation is observed on the left flank of the Svitlodarsk–Mironivka springboard. During the last three days, at least 10 tanks were transferred here, as well as a mechanized infantry formation (90 personnel on board of 11 BMP-2 and BTR-80), 82-mm mortars, and anti-tank missile systems. 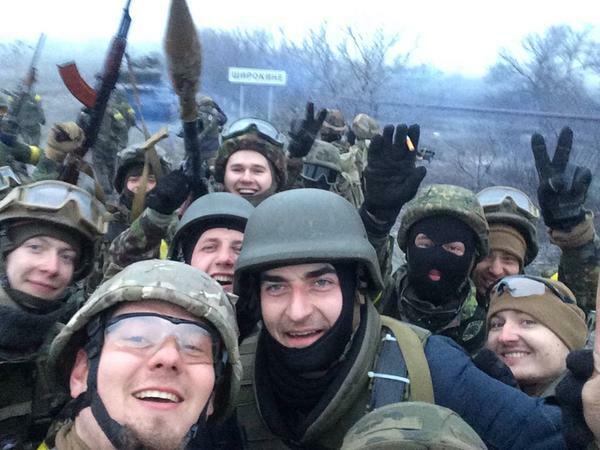 Azov Battalion selfies in Shyrokyne from social media in February.